Gun dogs have been man’s best friend since the days when survival depended on your ability to hunt for food to eat, clothing to wear, and shelter to keep you warm. To this day, dogs still play a significant role when it comes to the sport of hunting. If you’re thinking of adding to your pack, read on to learn some basics of owning and training a gun dog. 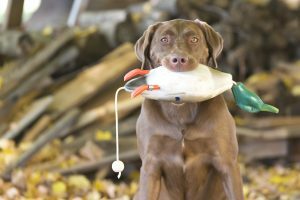 Originally bred for bird hunting, gun dogs are born with some innate skills that make them especially well suited for the hunt. A capable hunting dog will be intelligent, active, and alert. He’ll love people, be eager to please and want to learn quickly. He’ll be easily trained and can learn to help find your target. When he’s a seasoned pro, he’ll even make the hunt easier by startling the birds into the open and retrieving the catch for you. These dogs are excellent additions to any pack, but they do require a great deal of training, attention and exercise to help them be their best. 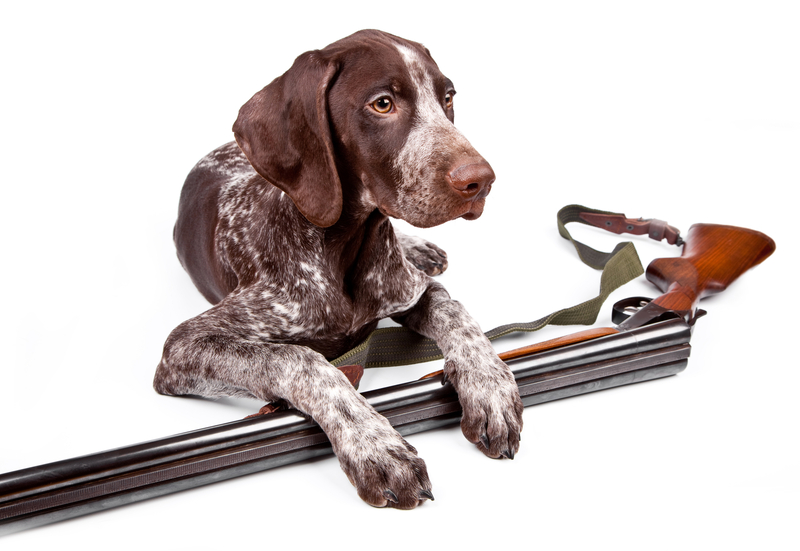 Gun dogs can be divided into three categories: retrievers, flushing dogs, and pointing breeds. repellent coats and webbed feet, they are well adapted to work in water. While it can take a lot of patience and many hours of training to achieve the ideal retriever, your hard work and dedication will pay off when your retriever tags along on her first hunt. Top Notch Tip: It’s best to avoid playing tugging games with your gun dog. A retriever should have a gentle or “soft” mouth and learn to drop or release when commanded. Springer Spaniels, Cocker Spaniels, and Field Spaniels are notable flushers. Flushers get their name from their hunting technique; once he’s located his prey, he’ll “flush” the birds out from the undergrowth for you. By the time your flusher joins you on a hunt, he’ll have also mastered the “hup” command so he knows to sit and watch the birds in flight. This helps ensure his safety when you fire your rifle. Top Notch Tip: Your spaniel will remember a bad experience, so be sure to introduce him to the sound of gunfire in a controlled environment. It’s a good idea to introduce him to the new sound from a distance while using smaller caliber ammo, such as blank .22’s. 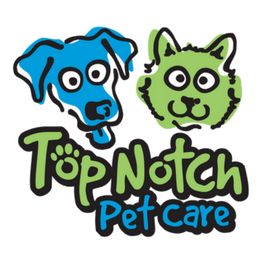 English Setters, Irish Setters, and English Pointers are well-known pointers. Once a pointer has surveyed the area and located the game she’s after, she will alert you to her find by freezing – and pointing her nose and paw in the right direction. Pointers are excellent for hunting when game is distributed over a wide area, like in a moor. They’re also quite patient and learn to be quiet, so they don’t spook your game. Top Notch Tip: Introduce your pointer to your rifle with things she enjoys, like meal time. This will ensure she isn’t nervous when she goes out on her first hunt. While hunting dogs enjoy their work, at the end of the day, all of the above mentioned dogs also make great family pets! 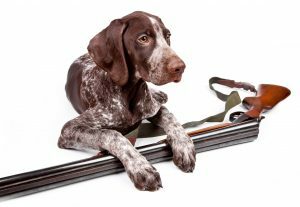 The next time you go on a pet free vacation and leave your rifle at home, make sure you hire a top notch pet care provider to keep up your pups training. A dog that enjoys working can easily get disheartened when put on the sidelines.